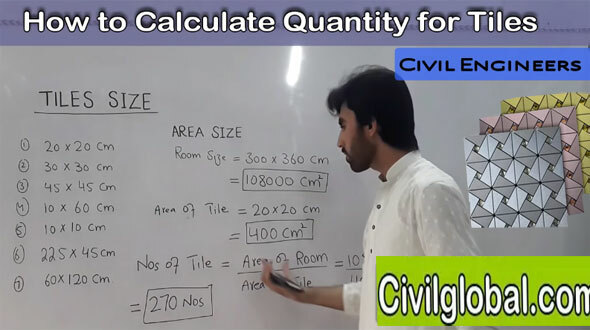 In this construction video tutorial, one can learn how to estimate the numbers of tiles with different dimensions for a room. Initially, you have to find out the total area of the room. Length and breadth are given as 300 cm and 360 cm. If you multiply them, we get = 300 cm x 360 cm = 108000 cm2. This formula can be used for other sizes of tiles. Go through the following youtube video for online demonstration.